The other day I wrote about the trials of trying to be an “Ecumenical Apologist“, so today I would like to write a post about something rather controversial, or rather someone rather controversial – Jesus’ mother, Mary. 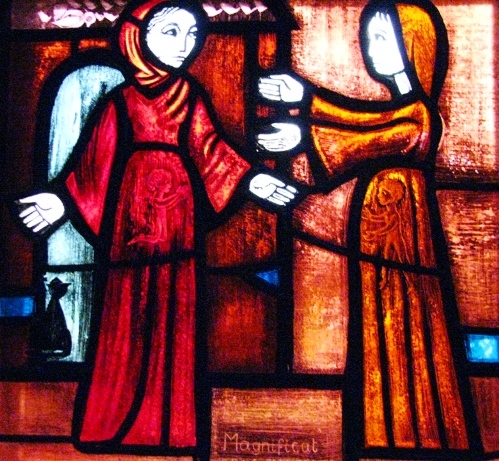 Mary is something of a source of contention between Catholics and non-Catholics. At best, Catholics are told that the attention they give to Mary draws glory away from God. At worst, Catholics are charged with unbiblical doctrine, necromancy and idolatry. I came across this particular biblical perspective of Mary at a time in my life when I wasn’t at all a fan of the Catholic Church. At that time I denied all the particularly Catholic doctrines about Mary (Immaculate Conception, Ever Virgin etc). I flattered myself that I knew my Bible pretty well and knew all the passages which referred to her – it wasn’t hard as there weren’t many of them, or so I thought. 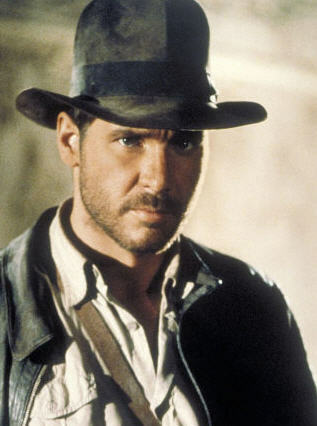 I was humbled when I realized my arrogance in thinking that a 2,000 year-old Church wouldn’t have anything to teach me. All those saints in its history had a few insights I might have missed? Shocking! 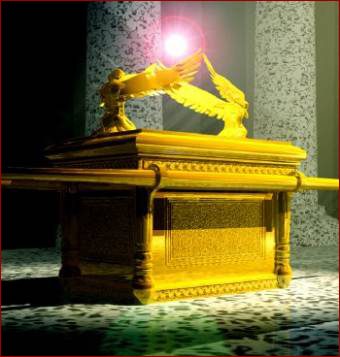 The fact that the entire Ark was covered in gold demonstrated that this was something extremely holy, set apart for a sacred purpose. 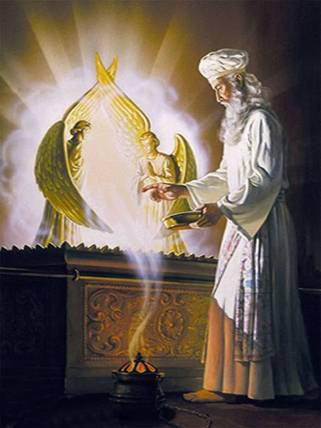 The Ark would travel with the Israelites throughout the desert, be the focus of the Israelite worship to God, was a spiritual weapon in battle (Joshua 6) and eventually find its resting place in the Temple of Jerusalem built by Solomon, in the Holy of Holies. 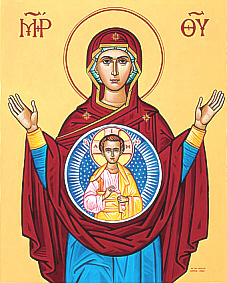 We now leave the Old Testament and ask: “What was contained within Mary’s womb?” The short answer, of course is simply “Jesus”, she is, after all, the Theotokos, the “God Bearer”. But who exactly is Jesus? I remember being dumbstruck when I first had these parallels pointed out to me. Mary is the new Ark! This started to shed some light for me on the place Catholics give Mary – Mary is holy in the same way the Ark was holy and Mary should be given similar honour for the sacred purpose for which she was set apart. In the Old Testament the Ark was the very place where God would dwell (Ex. 25:8) and in the fullest sense Jesus came to dwell in the New Ark, His mother (Lk 1:31). Could anyone be more blessed? Jeremiah’s hiding place was never found and when the temple was rebuilt years later, the Holy of Holies remained empty – barren. This is where the Ark is – she is in heaven! She is announced in spectacular style and to the sound of the 7th trumpet just like at Jericho (Joshua 6:13). But is this woman Mary? Who is this male child who will rule the nations with an iron scepter and who is in heaven? This is clearly Jesus – He is referred to explicitly using the same description in Revelation 19:11-16. Also, Pslam 2:9 said that the Messiah would “rule all the nations with a rod of iron”. So, although she may also represent other things (such as the Church or Israel), it’s fairly safe to assume that the women giving birth to Him is the one who actually gave birth to Him – His mother, Mary. However, it must be remembered that chapter divisions are somewhat arbitrary and were only introduced in the Middle Ages (12th Century) – the original Greek texts contain no such divisions. I’ll look at this passage in Revelation in more detail in another post when I discuss another of Mary’s titles: “The New Eve”. Although my original study of this Marian dimension of the Ark didn’t bring me all the way to the Catholic understanding of Mary, it did show me an understanding of Mary to which I had hitherto been completely ignorant. Apparently this 2,000 year old Church did have something to teach me! 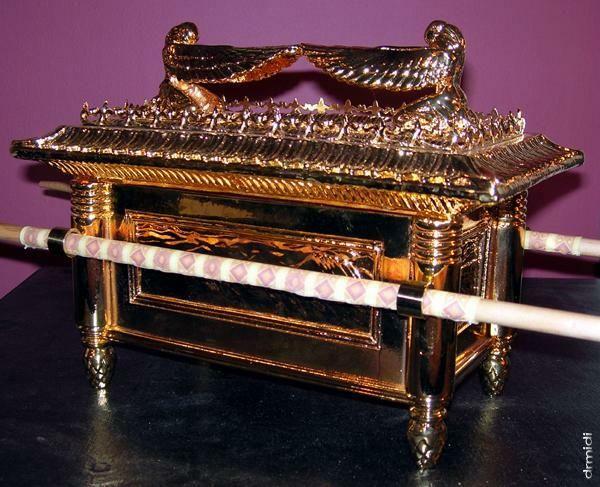 This entry was posted in Apologetics, Mary and tagged Ark Of The Covenant, Mary, Typology. Bookmark the permalink. 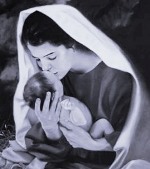 “My soul glorifies the Lord and my spirit rejoices in God my Savior.” If Mary were sinless, why did she need a Savior? Wouldn’t she be lying? Did she realize Romans 3:23 All have sinned and fall short of the glory of God? When she compared herself to the law of a holy God, had she realized she had formerly, lied, coveted, dishonored her parents by not always obeying them, etc. and like every single person needs a Savior? There are none good, no not one (Romans 3), except Jesus. 2 Corinthians 5:21 For He (God the Father) made Him (Jesus) who knew no sin to be sin for us that we might become the righteousness of God in Him. Also see Romans 11:6. Thank you Jesus, my Savior. This post was not trying to prove Mary’s sinlessness, but rather simply offer a perspective on Mary that many non-Catholic Christians may have never previously considered. Thanks David, Just like you I was born protestant and was very anti Catholic.Then God opened my mind. I have been Catholic now for 34 years (Iam 55). Indeed to honour Mary is to honor Jesus. She is our loving Mother. She said “Yes” to be part of the salvation plan and when the sword pieceed her heart (as predicted by the angel Gabriel) when she suffered at the torture and death of her son she knew the pain she was going through was for the sake of the slavation of mankind. How can any one who claims to love Jesus not realise what pain she agred to go through for our salvation? How can anyone not honor such a person? If we honour our own mothers as per ten commandments what more the mother of God! People praying the rosary, singing Mary songs, etc is a form a worship no matter how much catholics want to deny it. These things only belong to God. I have seen pictures of Mary sitting next to God in His throne as she was was co-equal with God when she was only a human like any of us. Of course she was blessed by God and deserves to be honored but it does not imply a godly position. God chose her by His grace, grace is God giving us something we dont deserve. Why do we need Mary as mediator when Jesus Christ already paid the price for our sins so that we could approach God directly? Saying that we need Mary as mediator is like saying that what Christ did in the cross is worthless or meaningless. Read Luke 23:45 which says that the curtain in the temple was broken apart in two, this symbolizing that the use of mediators (like in the old testament where only the priests could enter the most holy of the holy places and approach God to intercede for people) was terminated. People call her our hope, our salvation, etc. Acts 4:12 says that salvation is found in Christ alone. Yes people are taking focus away from Christ by giving her attributes that only belong to Christ, such as being sinless, holy, mediator, being taken to heaven alive, doing miracles and being the queen of heaven etc. If you notice most catholic churches today are named after Mary. Everything in the catholic church is about Mary. Most times when I see Catholics praying, it is all to Mary. When the Pope died, he entrusted his soul and the church to Mary. So where is Christ? I would suggest you doing more research about the origins of the roman catholic church which comes from pagan origins when it was founded in Rome by Constantine about 300AD. This is well known in history. Constantine was the first pope, and he mixed paganism with Christianity and that is how the Roman catholic church was born. You will find many parallels between the Roman catholic church and paganism. One of them is that the pagans used to worship a goddess called the “Mother of God”, and “queen of heaven”. Read Jeremiah 7:18 and Jeremiah 44:17-25 where the Jews were worshipping this false goddess named “queen of heaven” provoking the Lord to anger. This is exactly what the Catholics are doing today. contact me at [email redacted] to further discuss this. Thanks for your reply. I no longer actively blog on this site. A few years ago I moved over to http://RestlessPilgrim.net. I’d love to continue this conversation over there. I’ll move your comment over to the version of this article hosted there and I’ll respond in the next few days. Sortof a stretch theologically, and some clever hermeneutical gymnastics too, but nice use of images! Which part did you think was a stretch?